This Week's Rare Bit O'Swag: America's Newest Game! I saw this poster on an eBay auction and had to save a copy of the image. I am not sure what kind of scooters those are but they sure are cute. Note the guy in the center who’s gone down and about to get a mallet to the head. 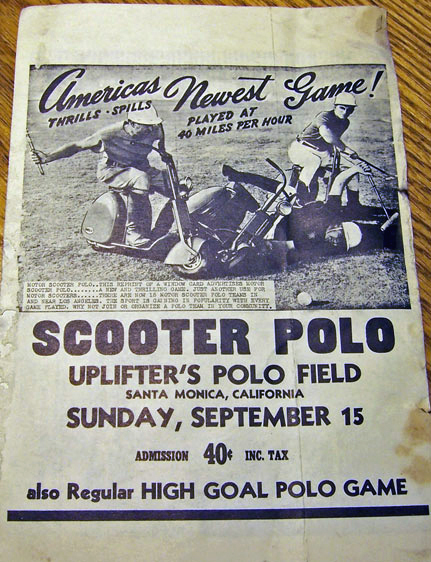 I don’t think this sport ever took off – not like scooter football (aka US soccer) did in Italy. This entry was posted in Advertising, Miscellaneous by Tracy. Bookmark the permalink.